Courtesy U.S. Forest Service Aspen display full fall colors September 30, 2011 on the east side of Monroe Mountain, above the community of Greenwich, Utah, in the Fishlake National Forest. Photo by John Zapell. How does an award-winning, collaborative, 10-year restoration project for Utah’s state tree – the aspen – suddenly get dissed as a project that would be more successful if only more roads could be punched into Monroe Mountain? It’s a head-scratcher. In late January, Kathleen Clarke and her Utah Public Land Policy Coordinating Office team were meeting with a nonprofit public policy organization when Monroe Mountain was brought up by state officials as an example of why the state needs to petition the U.S. Department of Agriculture to exempt Utah’s national forests from our nation’s Roadless Area Conservation Rule. The roadless rule conserves national forest lands in Utah and across the nation to protect key drinking watersheds, important wildlife habitat and recreation areas. While the entire premise of the upcoming Utah petition — that roadless areas impede forest management to prevent wildfire — is wrong, choosing Monroe Mountain as a reason for the Roadless Area exit petition piles wrong on wrong. The decade-long Monroe Mountain Aspen Ecosystem Restoration Project has the goal of restoring aspen on 41,000 acres of the Richfield Ranger District in the Fishlake National Forest. Approximately two-thirds of these trees are being overtopped by conifer following decades of fire suppression. A significant amount of the other one-third of aspen, which don’t grow among conifers, is lacking new growth to replace older aspen because their sprouts have been excessively browsed (eaten) for many years. For its first three years (2012-2014), a diverse group of 21 stakeholders called the Monroe Mountain Working Group met almost monthly to become familiar, on-ground, with the woes of Monroe Mountain’s aspen, and to develop restoration recommendations, science studies, and plans for mid-course corrections — adaptive management — if results of any restoration actions were falling short of success. The group was and is committed to reaching consensus on all recommendations, and skillful facilitation has allowed us to get there. We continue to meet together while aspen restoration is underway. As a Monroe Mountain Working Group member who has never missed a single meeting in the past seven years (our most recent meeting was January 2019), I can report that roadless areas have never arisen as a particular challenge. Conifer are being removed in Monroe Mountain’s roadless areas; prescribed fire is taking place in its roadless areas; aspen is being restored within its roadless areas (particularly within prescribed fire areas). In fact, the Monroe Mountain project is a prime example of the management flexibility built into the Roadless Area Conservation Rule. In 2015, the Richfield Ranger District combined the Monroe Mountain Working Group’s and other recommendations with extensive forest surveys and fire predictions to complete an Environmental Impact Statement for the 10-year restoration project. The EIS met with broad approval – and wasn’t litigated by anyone. The forest is now entering the fourth year of recommended treatments: prescribed fire, mechanical thinning, fencing and monitoring. Researchers from Brigham Young University have been answering crucial questions with research, and, on a smaller scale, so has the Monroe Mountain Working Group. Richfield District Ranger Jason Kling and the restoration project have been honored both within Utah and nationally. In 2017, one of the Forest Service chief’s five Honor Awards went to the project and, late in 2018, the Utah Division of Forestry, Fire and State Lands awarded both the Richfield Ranger District and the Monroe Mountain Working Group its 2018 Forest Stewardship Achievement Award. 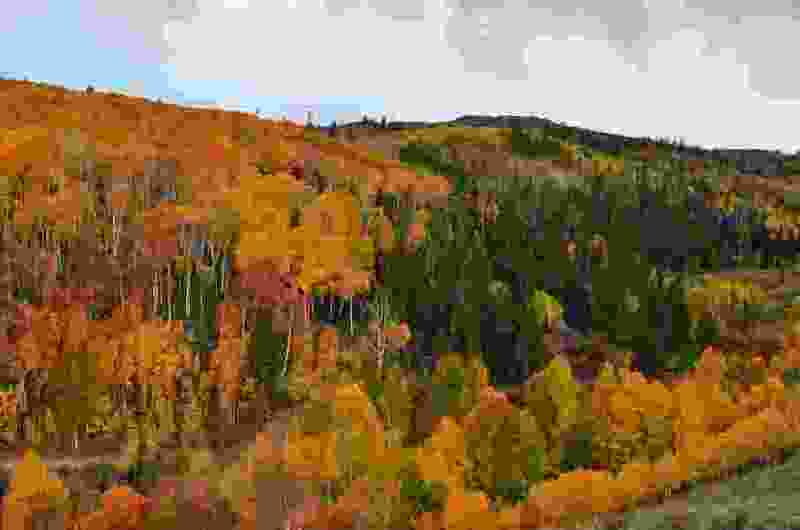 If the state of Utah wants to make the case for exempting itself from the Roadless Rule, it really should select something other than one of the few truly multi-stakeholder consensus collaborations in Utah, and a highly-honored restoration project that is succeeding in most ways to restore the state’s tree on a mountain that clearly wants to grow aspen. Citing a successful forest restoration project as a reason to build roads throughout some of the last roadless areas in Utah indicates there’s insufficient reason to petition for exemption from the nation’s Roadless Rule. 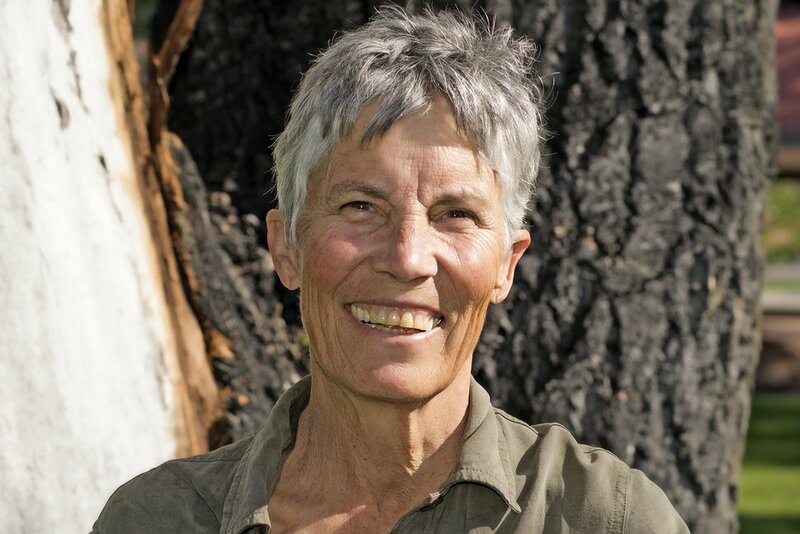 Mary O’Brien, Castle Valley, has been a member of the Monroe Mountain Working Group since its establishment in 2012, and is the Utah Forests Program director of the Grand Canyon Trust.